Built in 1951 this Ivanhoe East gem retained many of its fantastic original features, however the original kitchen – tucked into a dark, disconnected corner - was not one of them. Having seen us in an eco-minded architectural magazine, our clients Andrew and Sam approached us with a straight-forward brief to renovate their existing kitchen. 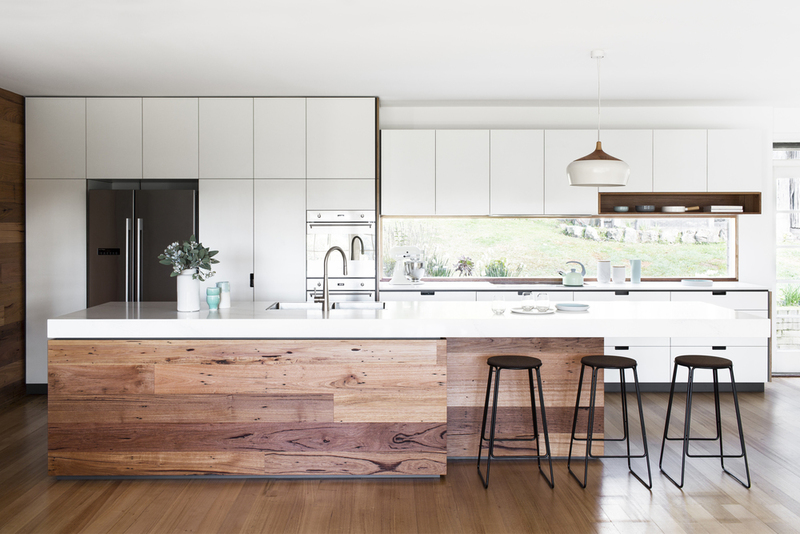 Inspired by the expansive views over gumtrees onto the Yarra River, Cantilever removed a few internal walls to create an open plan space for the kitchen and positioned the island bench to take in the spectacular views. With a splashback window over-looking the back garden, every position provides differing site lines of the surrounding landscape. With the clients oscillating between two of our kitchen Series, we cherry-picked features from the K2 and K3, refining detail sympathetic to the era. 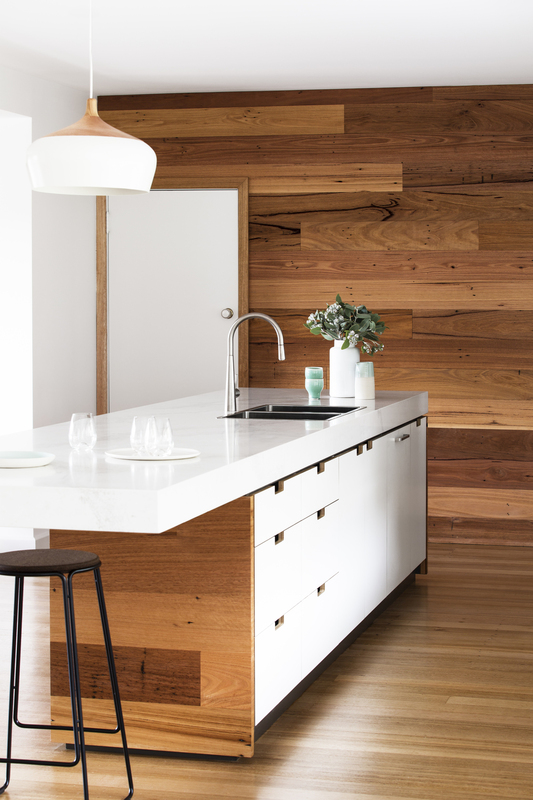 The recycled messmate timber of the wall and floor was incorporated into the shifting/statement island bench and complemented by a minimalistic Caeserstone benchtop. One of Sam’s comments ‘she doesn’t think about the kitchen, she just uses it.’ stood out as it reflects a key design philosophy and goal of ours – that good design is comfortable, functional, and visually harmonious with its setting.